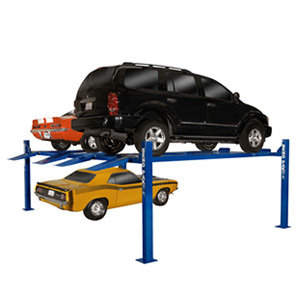 BendPak Lifts – Autostacker Parking Platform Lift - Extra Wide – PL-6SRX – 6,000 lb. 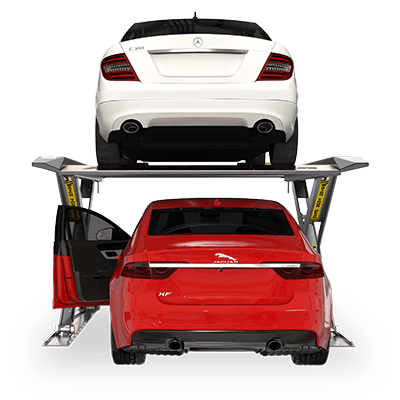 Lifting Capacity - Gary Bloom Sales, Inc.
Meet the Autostacker PL-6SRX, an extra-wide version of the world’s best fully collapsible parking lift. Like our standard-width model, the extra-wide edition offers a safe, easy way to store two vehicles in a single parking space. This model offers 8 more inches of interior space, making it easier to open vehicle doors and make a clean exit. Additionally, the PL-6SRX offers a more spacious environment for vehicle loading on the top-level platform. Lower-level vehicles will pull into an equally roomy parking space that is protected by Autostacker’s scissor superstructures. 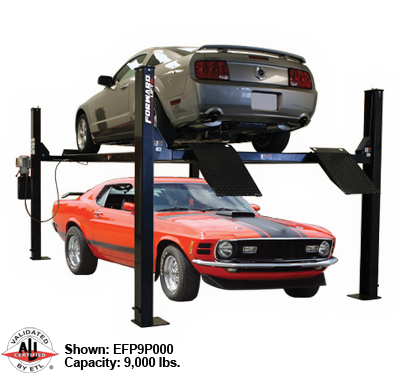 The extra-wide version of Autostacker remains an ideal home car lift for tight spaces and garages, and it lets homeowners maintain a clean, modern and sophisticated look to their garages. Commercial parking lots and valets need to be ready for anything: commuter sedans, trucks, SUVs, classics, exotics, etc. 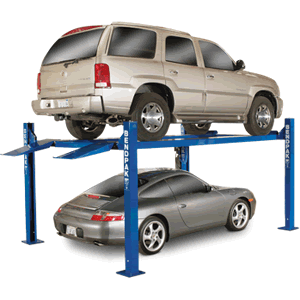 When space is limited and parking is tight, the only way to do that is with a string of parking lifts that can accommodate anything that comes their way. 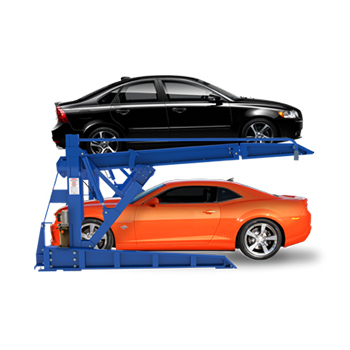 A wider lift offers commercial benefits to vehicles whether they’re raised on the platform or parked in the lower level. The upper level provides more room for wide vehicles, and the lower level has arguably the best benefit of all: additional door clearance. The PL-6SRX makes it that much easier to get in and out of a lower-level parked vehicle. Even though Autostacker comes standard with built-in rubber door protectors, the extra space further reduces the chances of damaging a customer’s vehicle door. Autostacker is built with uncompromisingly high-quality materials and rigorous engineering standards, and it could not be simpler to use. The PL-6SRX option is wider than the original Autostacker, so the full-length, galvanized and drip-proof loading platform is more accommodating for wide-body vehicles. There are no cables to replace or maintain, so the simplicity of the lift design means there’s more time with zero scheduled maintenance. Nothing could be more disappointing than measuring your vehicles only to find out they’re just a bit too wide to fit on your Autostacker. It’s equally frustrating when exiting wider vehicles and finding it’s a difficult squeeze to get out. You want to save space, or you won’t be able to fit a lift in your garage, but you can’t do so at the expense of basic functionality.